I always really enjoy this day. Baking cookies is just fun. Yesterday I was at the dentist’s office, getting my teeth cleaned. As I was reclining in the chair, with the dental hygienist sand-blasting my teeth in a desperate attempt to make them slightly less dingy, she groaned. “Oh no! They’re playing Rudolph the Red-Nosed Reindeer again!” she said. I like holiday music, particularly the classic versions of carols and pop hits like Rockin’ Around The Christmas Tree or Blue Christmas, and I’ve got a playlist of Christmas music on my iPod that I listen to while doing my holiday baking. I could probably listen to an endless loop of the A Charlie Brown Christmas soundtrack for hours and be perfectly content. But the generic stuff, like a version of Do You Hear What I Hear by the latest one-hit wonder pop star, is nothing but grating. I can’t imagine being forced to listen to instantly forgettable renditions of holiday music all day, every workday, and I’m grateful that I work at a job where that isn’t part of the performance expectations. Employers should consider whether it’s only fair to their employees, and their sanity, to take an occasional break from the Christmas music every now and then. Who knows what a dental hygienist, armed with hooks and scrapers and sand-blasting implements, might do after being driven around the bend by the 25th playing of Celine Dion’s version of Feliz Navidad? If you listen to holiday music, you’ve heard Jingle Bells. It’s been recorded by just about everyone. Bing Crosby and the Andrews Sisters sold more than one million copies of the song in 1943. It’s even been barked out by dogs. In fact, during 1890-1954, Jingle Bells was one of the top 25 most recorded songs in America. So . . . who wrote Jingle Bells? 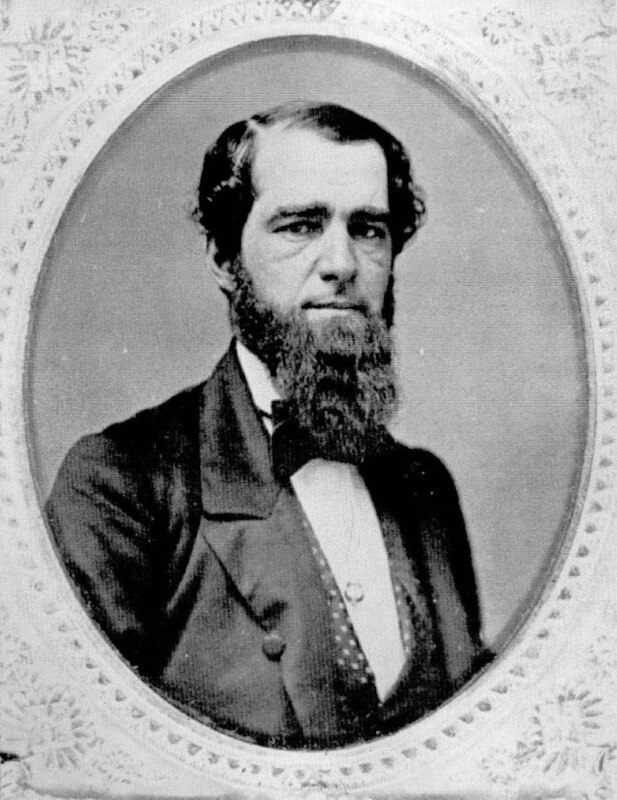 His name was James Lord Pierpont. He was an organist and choir director, and he wrote the song for a Thanksgiving church service during the 1850s. Precisely when and where he wrote the song — both Medford, Massachusetts and Savannah, Georgia claim it — is unclear, but the sheet music was first published in 1857. It was originally entitled The One Horse Open Sleigh. It’s amazing that a song written before the Civil War could still be popular more than 150 years later. How often do you hear anyone singing Camptown Races? And who even rides in horse-drawn sleighs these days, or uses words like “upsot”? But Christmas is a time when tradition reigns. People eat traditional foods, sing traditional songs, and put up Christmas trees and Christmas stockings, just as they did 100 years ago. We like those traditions because they connect us to our past and help us to remember our childhood. With a verse like that, I’m guessing that James Lord Pierpont might not mind that many boys at heart hear the Jingle Bells melody and think of Batman, the Batmobile, and Robin laying an egg. If you’ve watched A Charlie Brown Christmas, you’ve enjoyed the music of Vince Guaraldi. Guaraldi’s jazz-flavored interpretations of holiday classics like O Tannenbaum, What Child Is This?, and Greensleeves, played by a trio with Guaraldi on piano, Jerry Granelli on drums, and Puzzy Firth on bass, were perfectly suited to Charles Schulz’s beautiful tale of Charlie Brown’s search for the meaning of Christmas. I long ago bought the soundtrack CD at a bargain bin, and Guaraldi’s songs have been a key part of the holidays at the Webner household ever since. I really can’t imagine what the holidays would be like without that music. On a soundtrack album that is filled with gem after gem, my favorite track is the the instrumental version of Christmas Time Is Here — spare, shuffling, deeply melodic, with each note heartfelt and moving. It’s the first song on my holiday mix iPod playlist and it inevitably puts me in the holiday mood. It’s perfect music for a wintry day. Although I will always associate Vince Guaraldi with A Charlie Brown Christmas, Guaraldi wasn’t a one-hit wonder. With his trademark glasses and thick handlebar moustache, he was a staple of the jazz scene for two decades. He recorded lots of excellent music, including the memorable Cast Your Fate to the Wind. His career was cut short by his untimely death, of an apparent heart attack, in 1976, when he was only 47 years old. You can learn a little bit more about Guaraldi and his music here. It’s worth a few moments to know more about a man who helped to provide a soundtrack for our holidays. Just my luck! I do some channel surfing on the radio, hit one of those all-Christmas-music-all-the-time-stations, and my first exposure to holiday music is the worst Christmas song ever. That’s right: I started my festive holiday music season by having to endure another annoying and dispiriting rendition of Do You Hear What I Hear? Setting aside “novelty” songs like Grandma Got Run Over By A Reindeer, Do You Hear What I Hear? is unquestionably the worst “mainstream” — that is, recorded by the likes of Bing Crosby — Christmas song in the book. When I hear the predictable annual news reports about how many Americans experience depression during the Christmas season, I secretly attribute much of the rise in despondency and dejection to having to listen to this awful song played over and over again. What makes Do You Hear What I Hear? so awesomely abominable? Well, the forgettable melody is both uninspired and grating — but the real fingernails on a chalkboard impact comes from the lyrics. Any song that begins with a “night wind” that can both see and speak talking to a “little lamb” about a star with “a tail as big as a kite” obviously is going to score high on both the cloying and inexplicable meters. And when the little lamb then has a conversation with a “shepherd boy,” who in turn visits a “mighty king,” the song crosses the line into irretrievable sappiness. Apparently aiming for the mystical, the song instead come across like the cheesy plot line for a particularly bad Christmas cartoon. It’s almost impossible to regain the proper Christmas spirit after having an initial exposure to Do You Hear What I Hear? Fortunately, I resisted the temptation to kick over a Salvation Army bell ringer’s kettle and immersed myself in We Three Kings Of Orient Are and Jingle Bell Rock to regain my jovial holiday bearings.